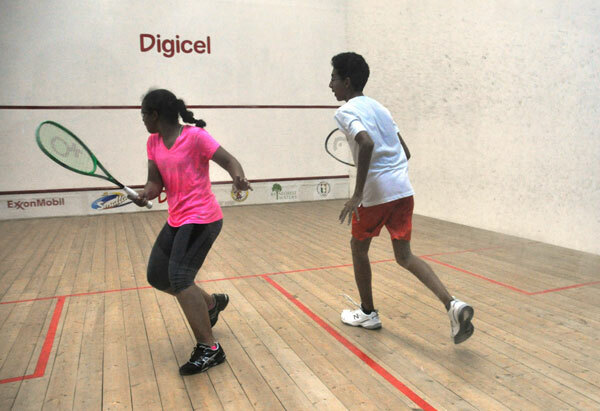 The Guyana Squash Association (GSA) Toucan Distributors Junior Skill level tournament, its first Junior tournament for 2018 at the Georgetown Club Inc. courts, continued on Friday night with several breathtaking matches in four of the eight categories being contested. 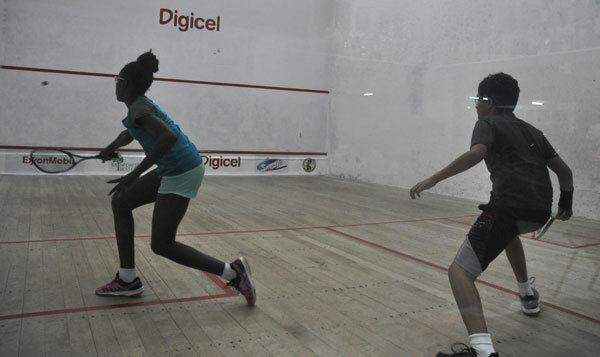 Abosaide Cadogan plays a back hand shot against James Mekdeci. 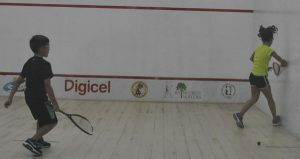 In Category B Lucas Jonas provided the upset of the night when he came from two games down to defeat Kirsten Gomes by three games to two. 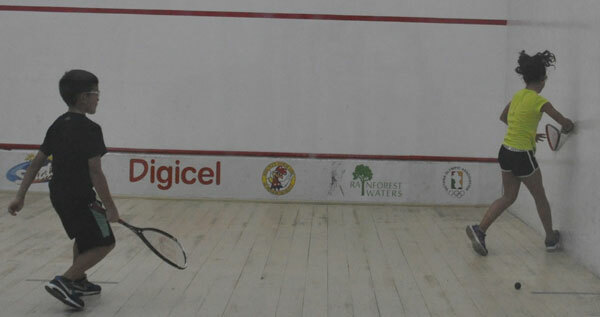 Kirsten won the first game easily 11 – 5 and won an extremely close second game 14 – 12. Lucas rallied to take the third game also by a 14 – 12 margin and then won the fourth game 11 – 9. The fifth game was close throughout but Lucas finally secured victory with an 11 – 9 result. Kirsten Gomes (left) and Lucus Jonas in action at the GT Club. Also in Category B, Ethan Jonas ensured that the Jonas brothers had a winning night as he defeated Madison Fernandes in four games. Ethan won the first game 16 – 14 and then won the second game 11 – 6. Madison bounced back to win the third game 11 – 5 but Ethan then closed out the match with an 11 – 7 win in the fourth game. Abosaide Cadogan beat James Mekdeci by three games to love in their Category B match up. Abosaide had an easy 11 – 1 win in the first game but the other two games were more competitive with second and third games scores being 11 – 6 and 11 – 8. Grant Fernandes drove Christiana Fernandes up a wall in a ding dong battle between the youngest players in the tournament. Finals were scheduled for last evening.